Ideal for the use of whole family. 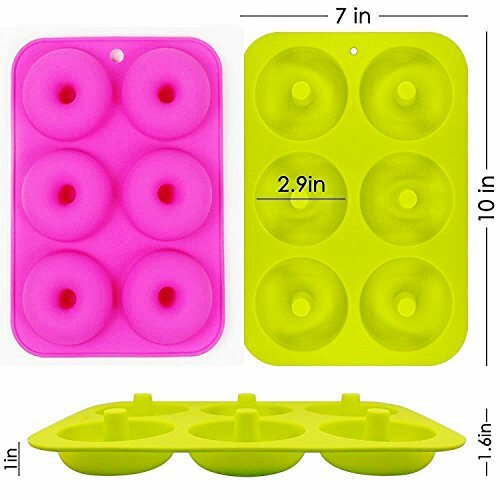 This Silicone Donut Molds is firmer and more durable compared to normal ones, and it can also be applied to other dessert. Baking homemade donuts are delicious and nutritious! 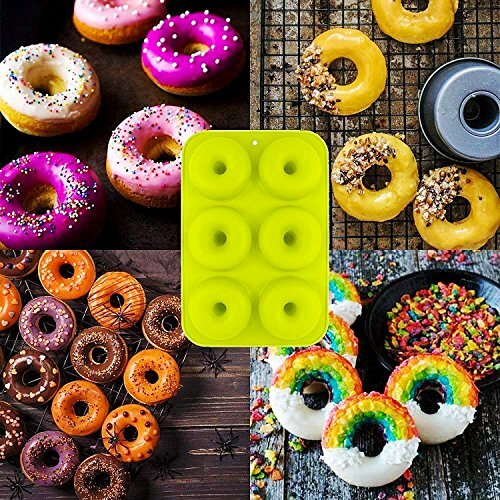 The non-stick, 6-cavity doughnut pan is perfect for baking your favorite recipes. Size:10x 7x 2.9inch, each cavity measures 3 inches in dia. 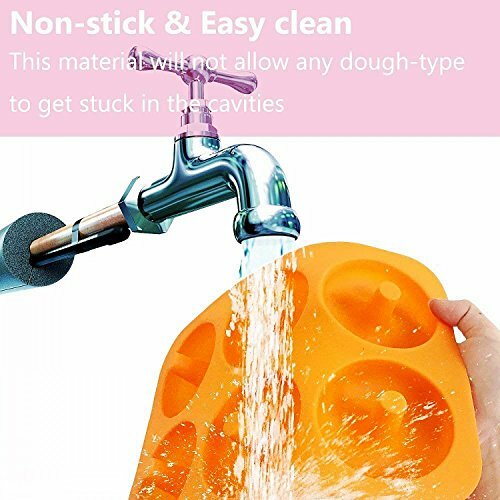 · EASY TO USE- CLEAN - RE-USE: You may clean it by hand-washing it or you can just put it in your dishwasher, and leave it at that. 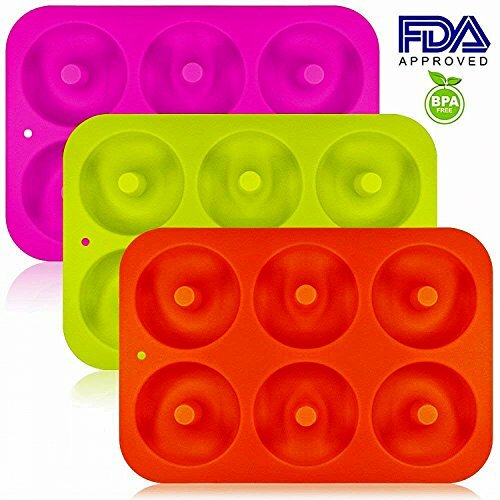 The silicone will not allow any dough-type to get stuck in the cavities, and even if they will, they fall off with some warm water, due to the pan's non-stick surface. 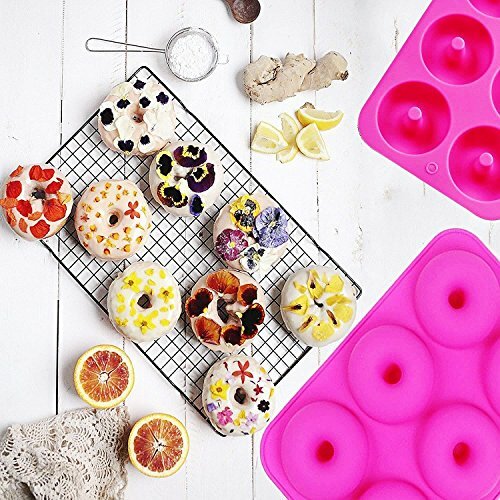 · BAKE ANYTHING: All you have to do is put your dough of choice in place. Then let it get the job done! From tasty, uniquely shaped muffins and cookies to petit-fours & actually any bakery delicacy you wish. 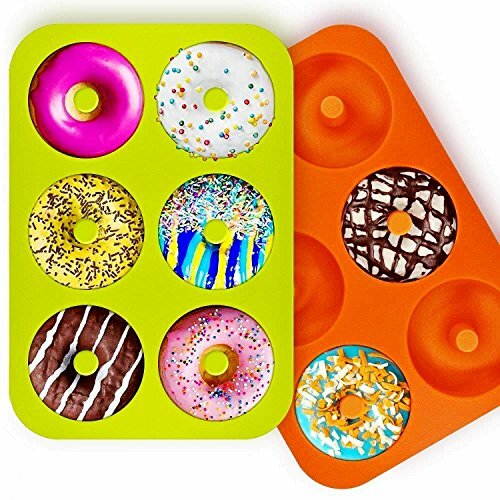 · HUGE & HANDY: Forget about those tiny little forms, through which the dough escaped, all the time - even if it stayed on, you could not enjoy your donut properly, because of its candy-size. We are talking about a family sized pan (10"x 7"x 2.9") with a capacity of 3 1/2" (9 cm) per cavity. · ASTONISHING QUALITY: True Silicon material, heat resistant up to 450° F, which means it does not melt in the oven, or destroyed in the dishwasher. 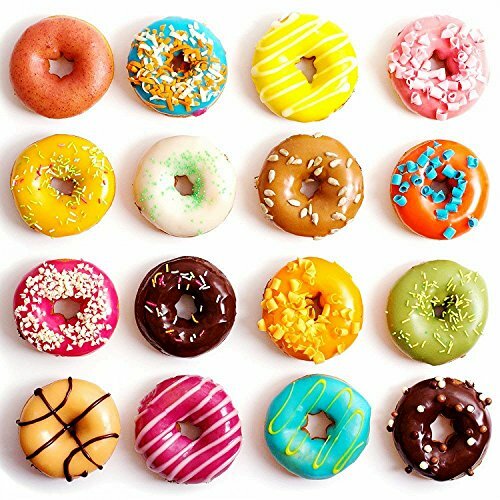 Food safe it is; for your safety we have created a product that does not get discolored in your bakery, does not smell like burnt plastic in the oven, but it does allow your donuts bake even faster due to its molecular structure & durability. 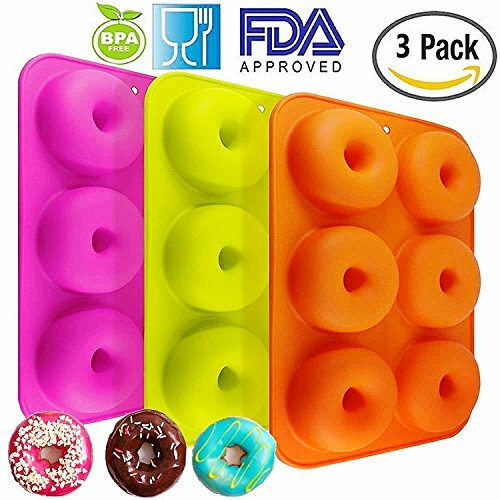 · SAFETY: Our donut molds are made of high quality 100% food grade silicone, FDA approved and BPA free.You may easily use it in the microwave, with absolutely no danger of it, melting or causing any other problem to your devices. Highly resistant to microwaves, as well. We produce only the greatest products for the greatest cooks - you may be today among them!